Apartment managers of a multifamily community have a unique opportunity capture the spirit of holiday giving by organizing a seasonal charity event this year. With access to a hundreds of residents at one location, who may be looking for volunteer opportunities themselves, you can start a tradition that will build community at your property among your residents, promote your business in the community and help a worthy cause. If you are thinking about giving back this time of year, here are some great ideas for multifamily managers to consider. Toys for Tots is a well know organization that collects and distributes toys, books, and games to children who do not have the opportunity to access them. The organization emphasizes toy collection during the holiday seasons with several drop off locations in every town. You can easily set up a drop off location at your multifamily property, that will serve both your tenants and your community. This will meet your charitable goals and put your property right in front of your community when they look up drop off locations. Ask tenants to bring in a child appropriate unwrapped toy, game or book; remember that kids of all ages want presents to feel special this time of year, so don’t forget those teenage appropriate gifts too. The chilly time of year is a reminder that not everyone can afford a new coat, or even an adequate coat, for protecting them against winter weather. Cold weather clothes are always in high demand for children of all ages who outgrown clothing each year. Creating a clothing drive at your property is a simple solution for residents to provide warm clothes to those unprepared for the winter chill. Set up a donation station to collect clothing donations to provide to organizations like Coats for Kids, The Salvation Army and Share the Warmth. Depending on the organization you choose to support, you can collect new or gently used warm clothes to donate. Entire families can struggle to provide a holiday for their children this time of year. Non-profit organizations have created Family Adoption programs, where individuals, businesses, groups or organizations are paired with a family in need to create a holiday experience for them complete with gifts, clothes or food. Your apartment community can sign up to be paired with a qualifying family and you can organize a community event to ask your residents to donate the requested items. You will receive a list of items requested by your adopted family like a sweater for each family member, an age appropriate toy for each child and a basic household appliance like a space heater or microwave. Holiday family adoption programs can be found by a Google search for “Adopt a Family this Christmas” to find organizations in your area to work with. The amount of food needed to meet the demand of hungry Americans, especially healthy food items is always a struggle for food organization. Property managers can establish a food drive with your residents and set up a donation station in your management office for residents to easily drop off non-perishable items. Contact a local food bank to set up a drop off time and find out what their food needs are. When selecting an organization to donate to, consider both the obvious (food bank and homeless shelter) and the less obvious (faith-based organizations, senior citizen centers, schools). Creating a charitable holiday program in your multifamily property can encourage resident retention for those who appreciate the values of your management business. 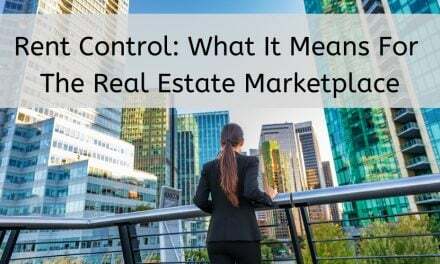 You also have the opportunity to increase your property’s exposure and reputation in your town. Consider contacting your local paper to inform the community about your charitable event and the opportunities to get involved. Consider writing a press release about the program and sharing it on social media. 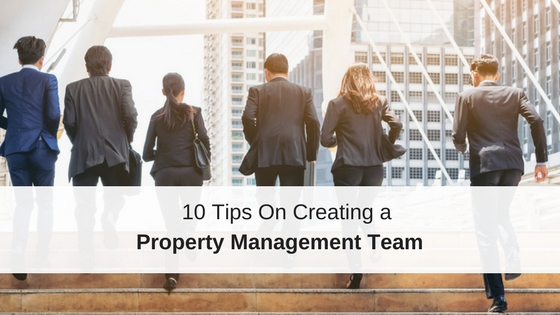 Managing a multifamily property give your the opportunity to work with a big community that can make a difference in someone’s life. 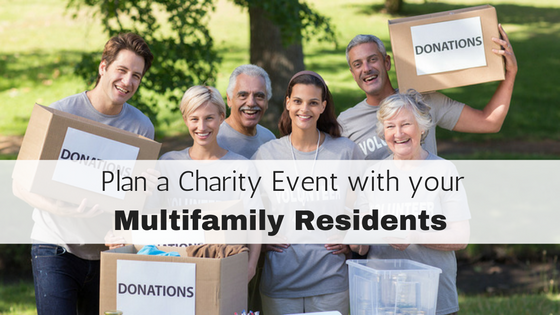 Check out this infographic that Brentnie shared on Let’s Talk PM regarding these Charity Ideas to Host with Your Multifamily Residents.